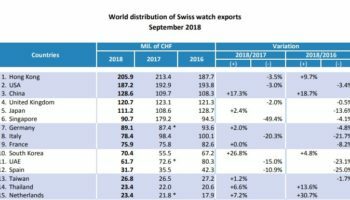 The UK was the fourth biggest market in the world for Swiss watch imports again in September, overtaking China for the second month this year. 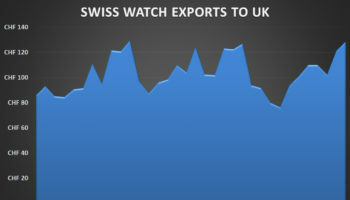 The UK accounted for 7% of the world total for exports for Swiss watchmakers in the month. The reversal in relative fortunes between China and the UK is staggering when you look at the performance in recent historical terms. 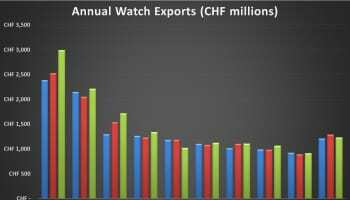 In the full year of 2010, China imported Swiss watches worth CHF 1.1 billion; almost double the value of those shipping to the UK (CHF 597 million). The summer of 2016 will be long remembered by retailers of luxury Swiss watches in the UK. In the three months from July to September, the UK imported timepieces worth CHF 327 million. This compares to a three month total of CHF 320 million for China. For September, alone, the UK notched year-on-year growth of 32.4%, comfortably the fastest growing market in the world’s top 10. By contrast, sales to China were flat, and sales to Hong Kong plunged by 39.6% over September last year. 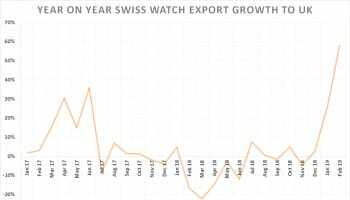 Overall global exports for Swiss watches fell by 5.7% in September despite relatively strong performances by the USA and Japan. For the year-to-date, global sales of Swiss watches are down 10.2% to CHF 14.2 billion compared to the first nine months of 2015. 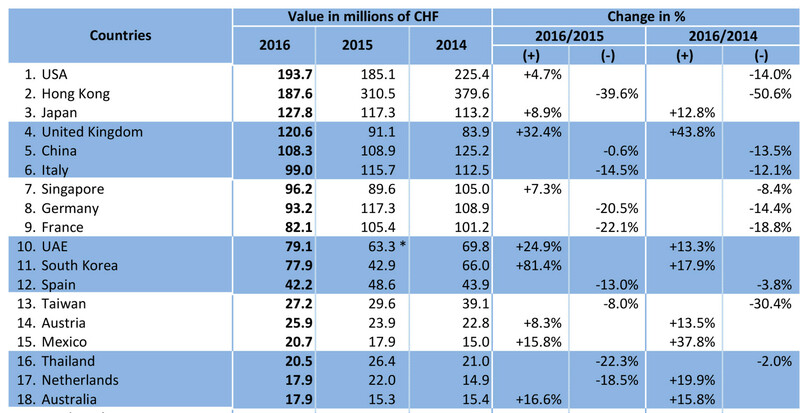 Hong Kong remains the world’s largest market with imports worth CHF 1.7 billion so far this year. The UK is sixth. Luxury watch sales in the UK have benefited from the falling value of the pound, which has made many models 25% cheaper than markets that use the dollar, the euro or currencies pegged to the dollar such as those in the Middle East. Most luxury watch brands raised prices by 10% last month to close the gap, although Rolex is yet to announce a rise. There is also anecdotal evidence that October has been a tougher month for luxury retailers as talk of a hard Brexit hit consumer confidence. In addition, many retailers speaking to WatchPro have said they hope they can minimise re-stocking while the pound is so weak. 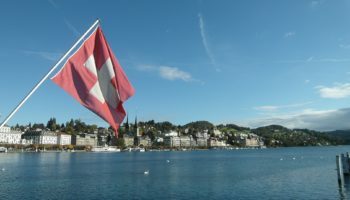 “October to December were unusually strong months for Swiss watch exports to the UK last year, with values well above normal, so I would be surprised if we can maintain year-on-year growth for every month through to the end of the year,” said Rob Corder, managing editor for WatchPro.